Charleston Forge furniture is handmade in Boone, North Carolina from beautiful American hardwoods and other materials by local craftsmen. The sleek, asymmetrical design of the Watson console adds visual appeal to this piece. 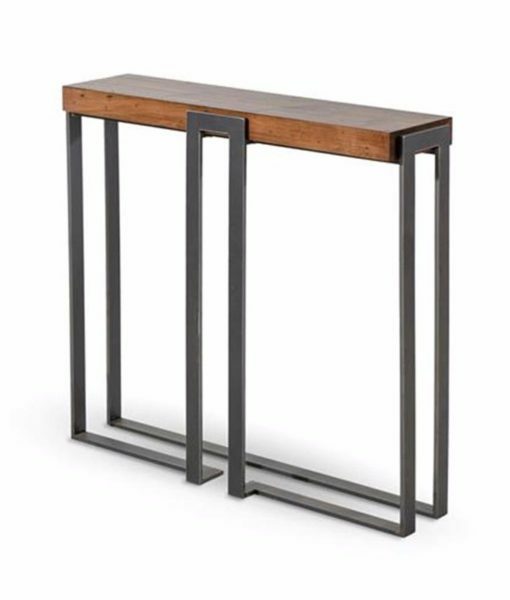 Several pieces are available in the Watson collection including a console, coffee tables, and end table. There are numerous metal finishes and tops available.